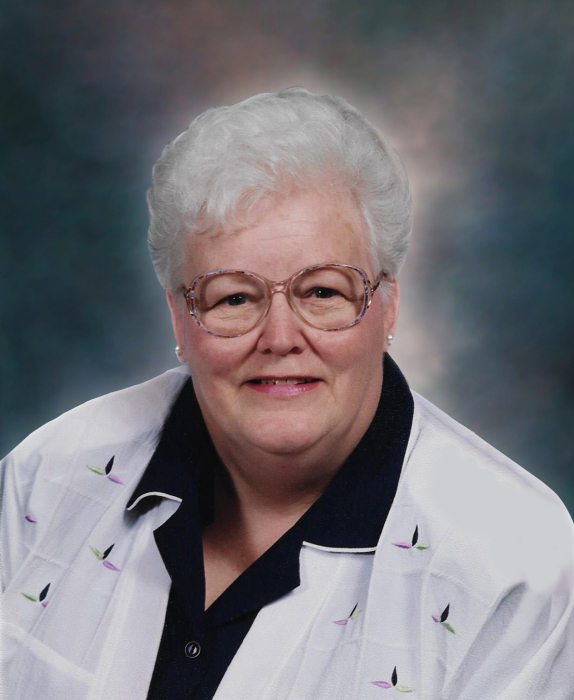 Obituary for Maribelle Guy | Family Care Services, Inc.
Columbiana-Maribelle Guy, age 77, of Columbiana, passed away on Thursday, April 4, 2019 at St. Elizabeth Hospital in Youngstown. She was born on May 5, 1941 in Negley, Ohio, the daughter of the late Alvin and Susan Rosenbaum Barr, Sr.
Maribelle was a member of St. Jude Roman Catholic Church in Columbiana where she belonged to the Women’s Guild. She was a member and served as past president of the Benjamin Firestone Post #290 American Legion Auxiliary and was a member of the Washingtonville York Drexler Post #5532 VFW Auxiliary. She enjoyed bowling, trips to her cabin at Pymatuning Lake, and attending her grandchildren’s sporting events. In past years, Maribelle looked forward to her long walks with her good friend Jean and her morning cup of coffee with Amber. She is survived by her husband and the love of her life, Jack L. Guy, Sr, whom she married on May 25, 1963; children, Jack (Amber) Guy, Jr. of Columbiana, Jeffery (Jeanette) Guy of Green Twp., Randy (Kim) Guy of Columbiana., and Geri (Rob) Rubicky of Glenview, IL; sister, Sally Sebecic of Fallston, PA; brother, Ed Barr of Negley; her grandchildren, Tyler Guy, Ryan Guy, Dan (girlfriend Andrea) Guy, David (Holly) Guy, Michael Guy, Jason Guy, Jon Guy, Justina Channell, Jared Channell, Kristen (Michael) Snyder, Cory (Makenzie) Guy, Greg Fitzsimmons, Mark Fitzsimmons, and Stacie (Dan) Perez. She also leaves her great granddaughter Zoey Guy, who had a special place in her heart. Other surviving great grandchildren are Grady, Garrett, and Grace Guy, and Mikala, Mannie and Malia Perez, all whom Maribelle loved dearly. Besides her parents, Maribelle was preceded in death by her son, Gregory Guy; brothers, Robert and Alvin Barr, Jr., and a sister, Carol Howell. The family will receive friends on Monday, April 8, 2019 from 9:00 a.m. – 10:00 a.m. at St. Jude Roman Catholic Church, Columbiana. A funeral mass will be held at 10:00 a.m. on Monday, April 8, 2019 at the church, with Father Christopher Cicero officiating. In lieu of flowers, the family would request that donations be made to the St. Jude Roman Catholic Church Building Fund, 180 7th St, Columbiana, OH 44408.